I had expected to insert the birds post prior to these mammals, but now I think I’ll postpone the birds post until I’ve accumulated more photos to justify it. There are plenty of mammal species I’ve seen for which I did not or could not obtain a good photo. I’ll mention some of those. 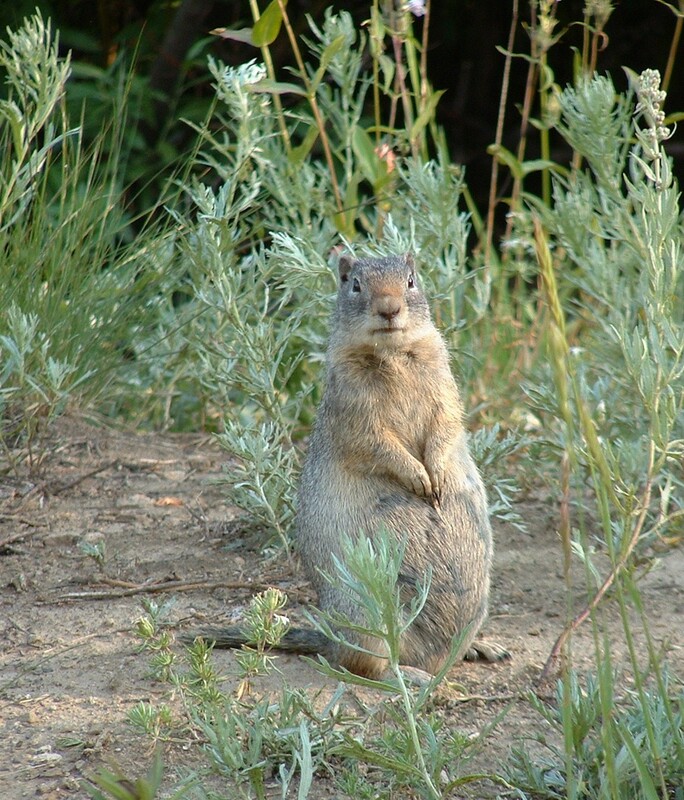 Have seen plenty of mule deer, jackrabbits, rock squirrels, voles and kangaroo rats. Have seen a few red foxes, coyotes, yellow-bellied marmots, pikas. 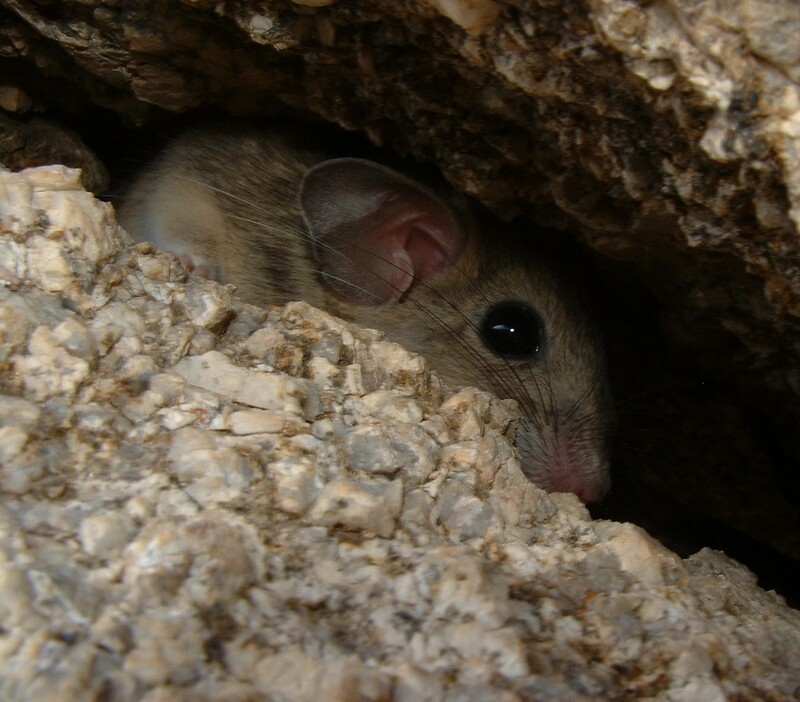 Have twice seen a bushy-tailed woodrat, both times at night while peddling a bike in the Wasatch Mtns. Have twice seen ermine–one brown-coated in summer & one white-coated in winter. 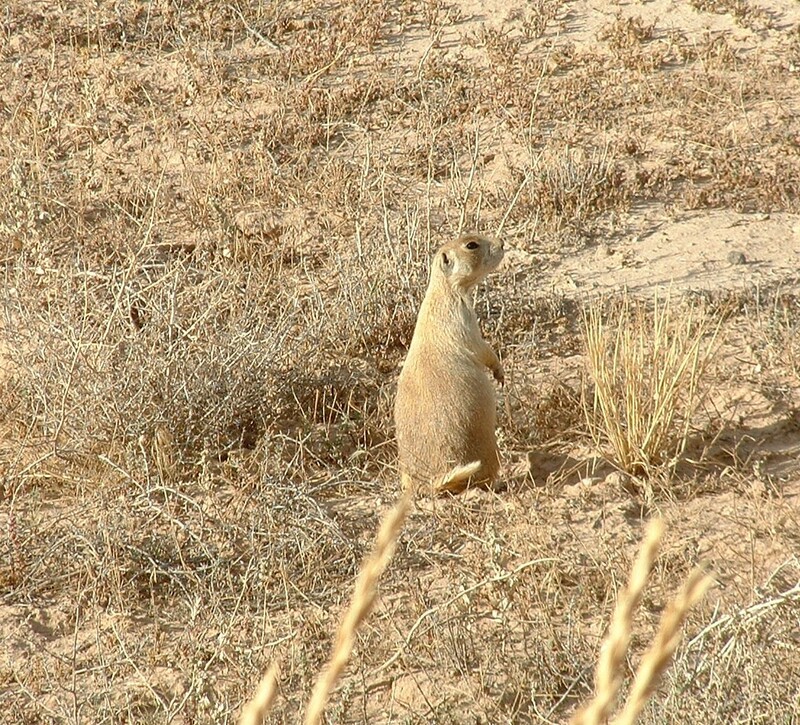 Have twice seen utah prairie dogs in SW Utah. Have seen three badgers, but only one of those was alive. 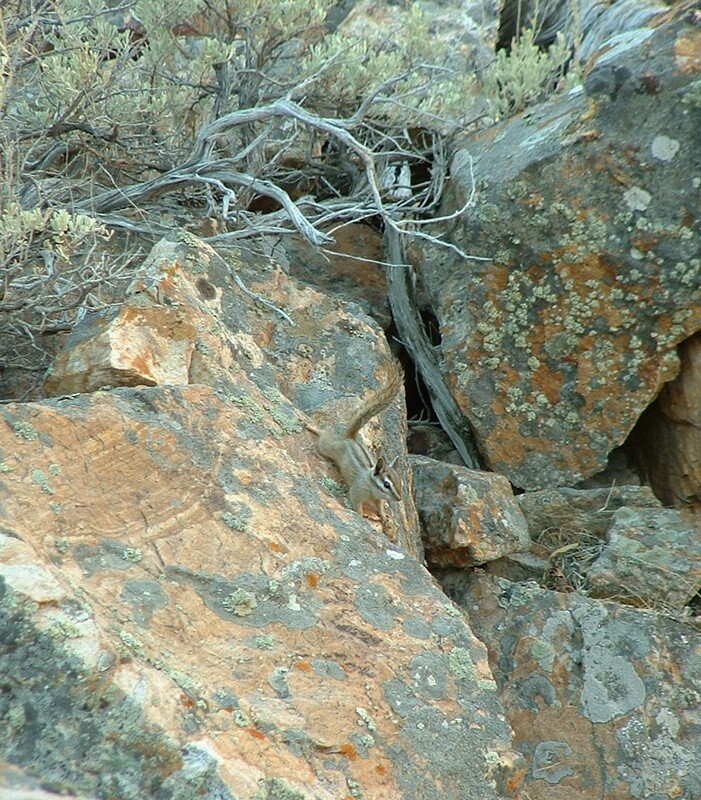 Have seen just one ringtail–in Zion National Park. Have seen only one black bear in Utah–in the Abajo Mtns, reclining up in a ponderosa pine we had walked directly beneath a couple minutes earlier. In Canyonlands National Park once in late summer, while I sat quietly on a campground’s picnic table at midnight, a kit fox calmly strolled across the middle of the campsite, just a few feet away. Have seen several moose, and some very skittish elk. Still no bobcat, mountain lion, sasquatch. My favorite mammal to discover was probably the javelina (“peccary”) in Arizona. 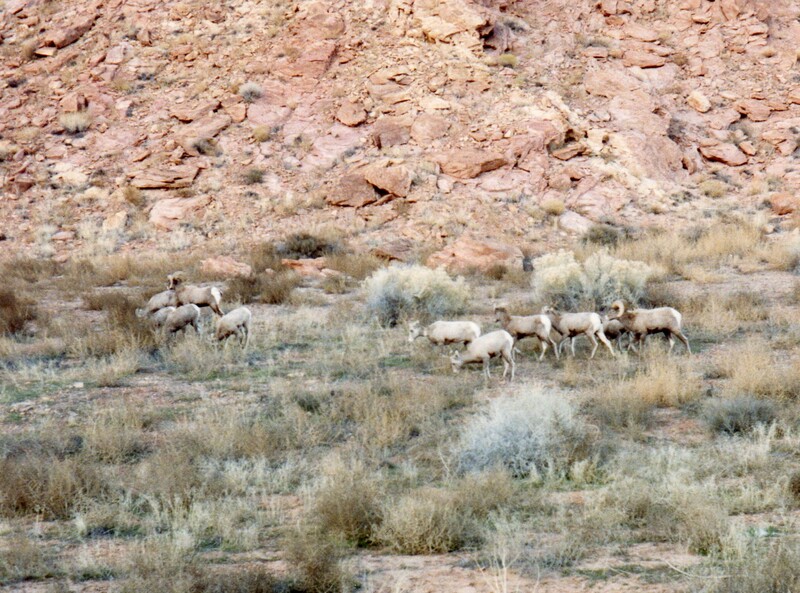 That was summer, 2004, in southern Arizona, and I neglected to photograph any of them. I wish they lived farther north so I could see them–and hear their funny chattering amongst themselves–more often. I’ll include here some more or less ‘domestic’ species, too. Actually this first species shown below is not native to Utah. 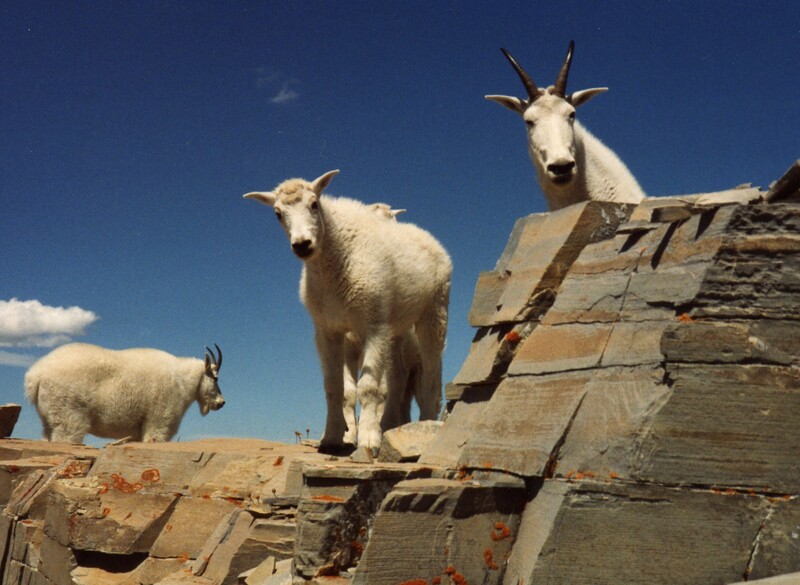 Mountain goats’ introduction into Utah’s mountains occurred in the 1960s. 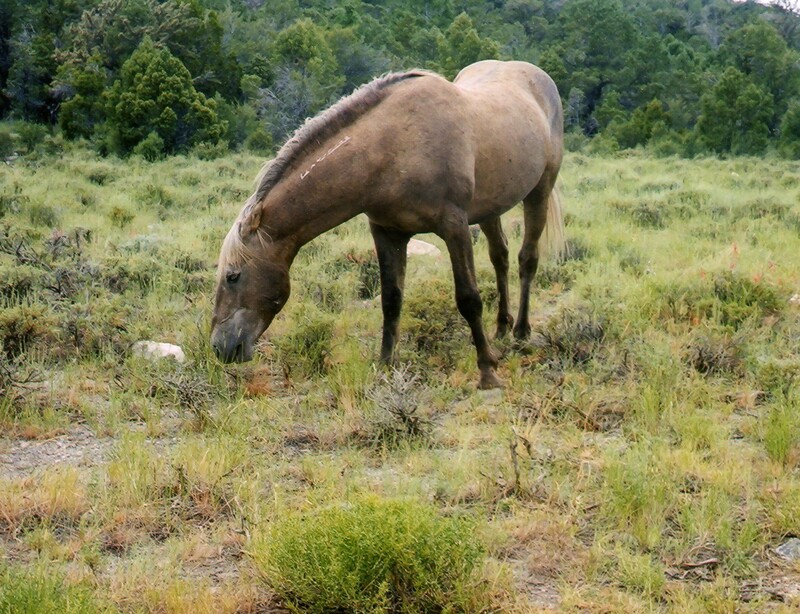 This horse seemed to have been retired to the wild by its owner. It approached me as though glad to see a person, unlike the very wary & skittish wild horses that also frequent this mountain range. Perhaps a wild stallion would attack him in any encounter? This is as close as I’ve come to wild horses. Notice they are watching me with suspicion. 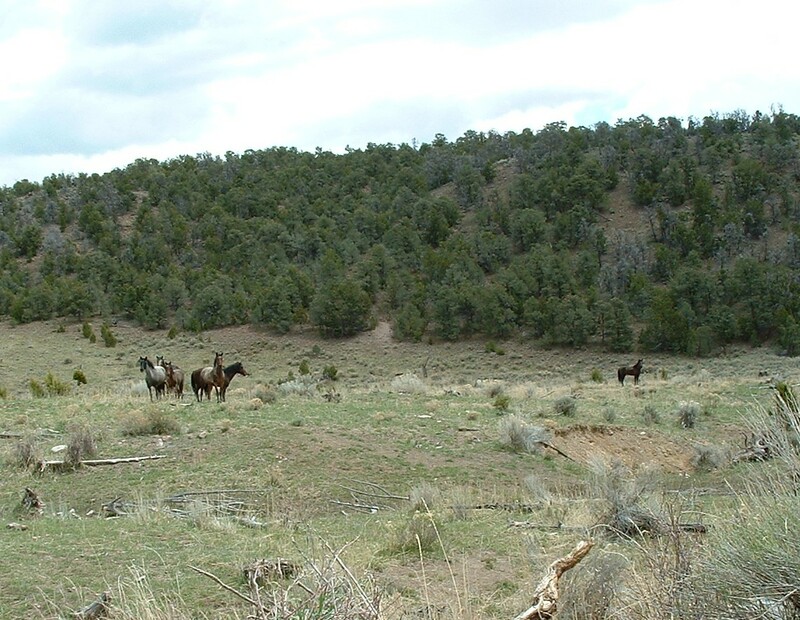 This range and the House Range are places I’ve visited in western Utah where wild horse density seems especially high. 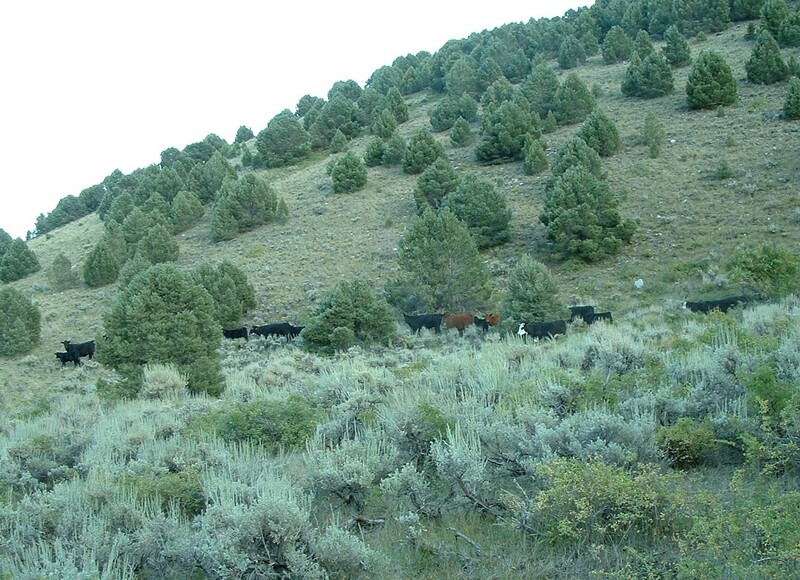 Our public lands also support this species, which is good at severely altering the landscape where it congregates at high density, as here. This is on Bureau of Land Management land. 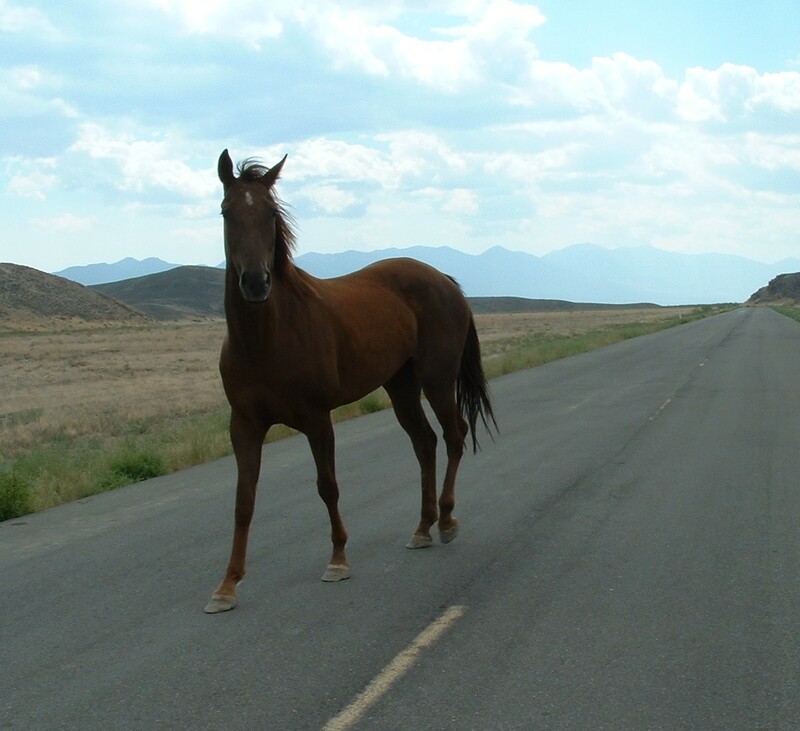 This horse seemed grumpy and was purposefully stomping down the middle of the road. It continued that after I passed. 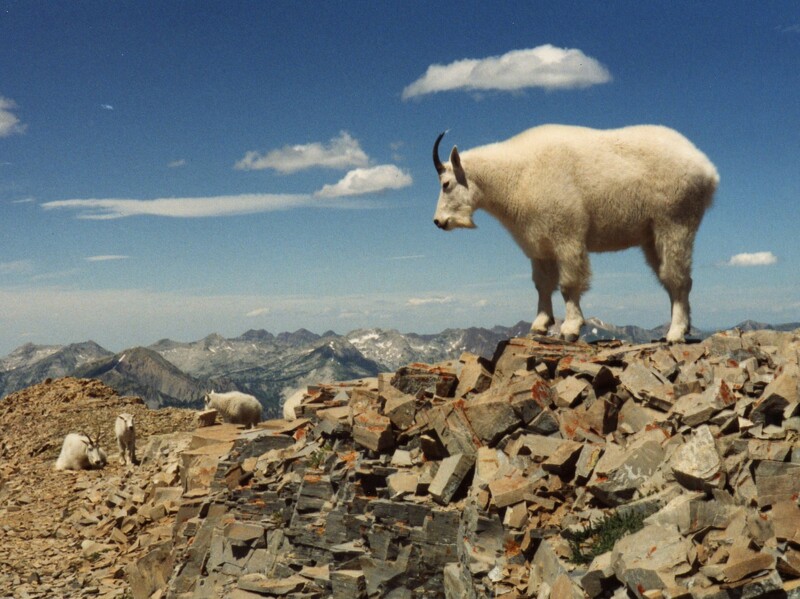 Our national park land also supports some of these. I found a large colony of these along a dirt road, in very nondescript habitat. 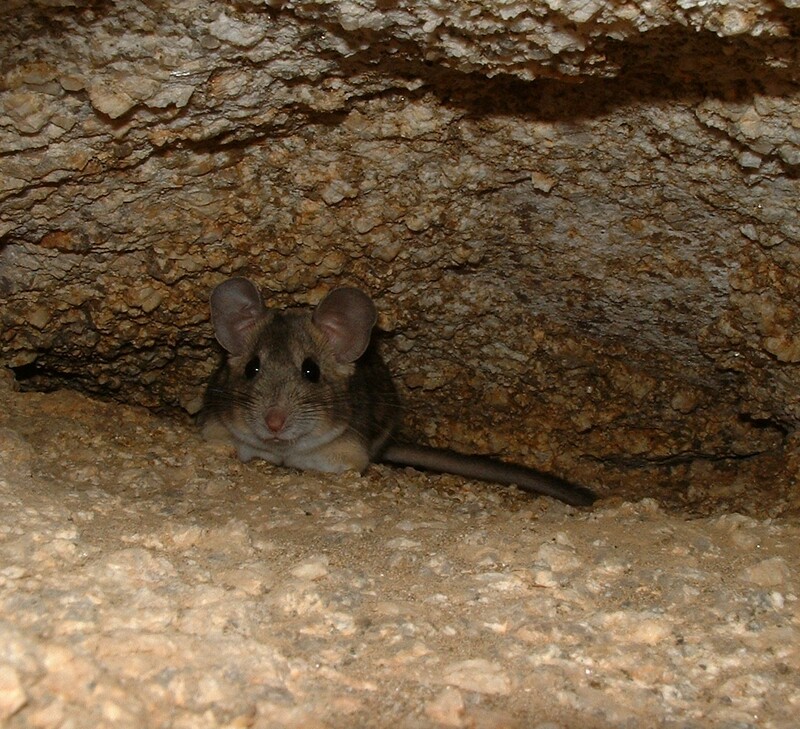 Burrow entrances were extremely dense. Makes me wonder what has erased this species from similar habitat where it does not occur now. I can surely understand how natural predators’ densities might be higher in areas where healthy populations of this species occur. At the end of the Pleistocene, 3 of the 4 genera of western-North American pronghorns became extinct. We have just one of those 4 left now. 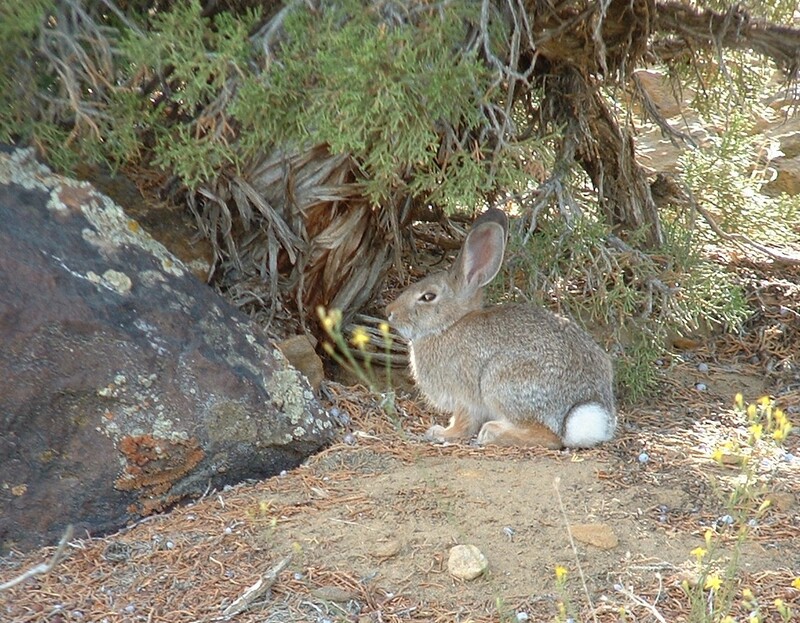 Learn about this, and other nifty facts involving the recently decreased faunal diversity of the Great Basin, here in this great book: The Desert’s Past: a natural prehistory of the Great Basin, by Donald K. Grayson, 1993, ISBN 1560982225. 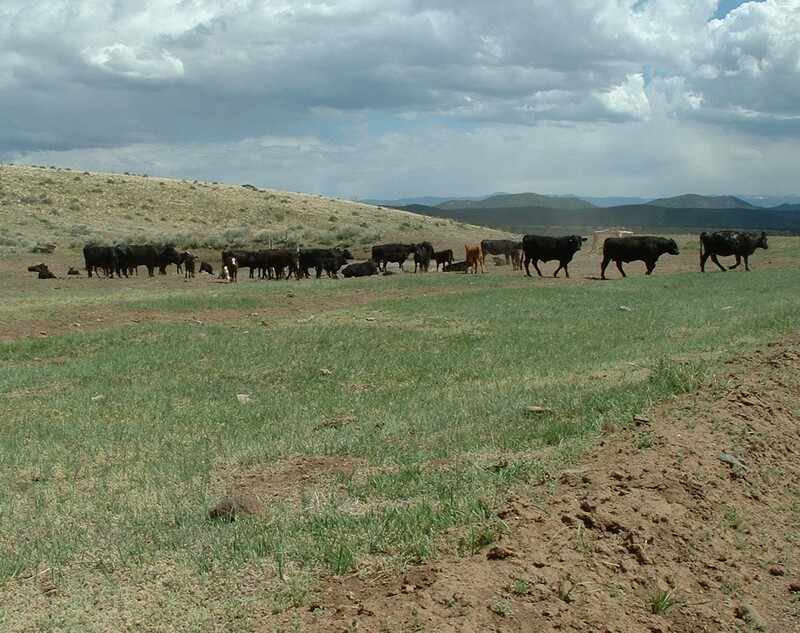 It’s interesting to consider how most of the mammals, reptiles, amphibians and plants that live in the western USA used to share habitat with so many additional large mammalian species (very recently, in evolutionary history) that became extinct 10,000-30,000 years ago. There are evolutionary adaptations that persist in some living species that are no longer needed to coexist efficiently among the remaining mammal species. 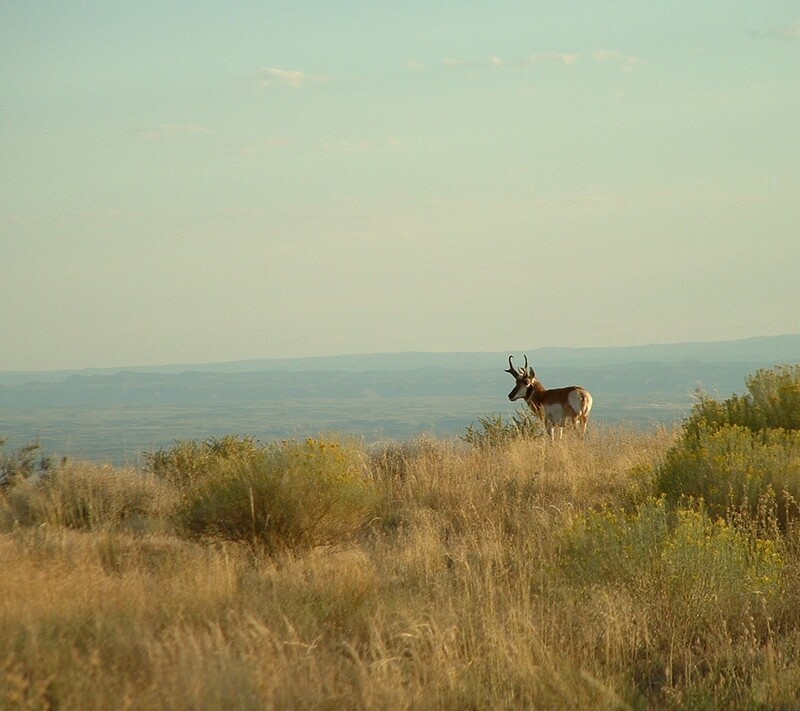 For example, it has been argued that our current pronghorn can run much faster than required to outrun its current predators. But if the North American cheetahs (Miracynonyx) were still around, such speed would be quite useful. For details, see this book: American pronghorn: social adaptations & the ghosts of predators past, by John Alexander Byers, 1998, ISBN 0226086992.